There are one to two Diver Medical Technicians (DMTs) on every dive team, so this course is an important adjunct to your commercial diving training. 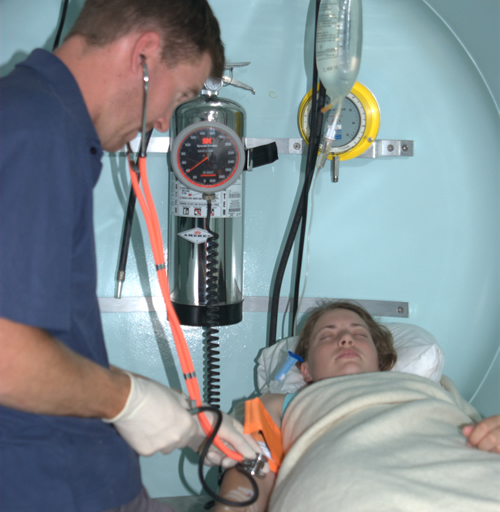 DMT is a hyperbaric advanced first aid qualification with paramedical skills. You’ll gain proficiency in resuscitation and insertion of LMA’s and be able to manage diving and general injuries/illness until transfer to a suitable medical facility is available. Course duration is 10 days or 5 days for a refresher course. Your DMT training must be renewed every 2 years. Our DMT course has an equal mix of theory and practice. 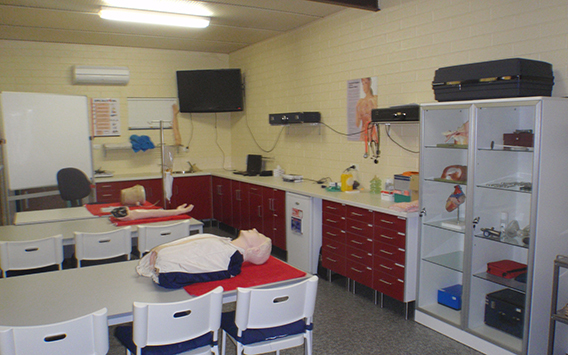 All paramedical skills are taught on simulators so you can practice as much as you like. $1,850 per student plus ADAS fees. We run full DMT and refresher courses on demand, starting with a minimum of 2 students and a maximum of 6 to give you ample ‘practical’ time. For a cheaper refresher course – ‘bring a friend’ to receive a discount for both of you. Medical terminology and communication with medical authorities.